El Lake Nicaragua or Lake Cocibolca (8624 km2), is the second largest lake in Latin America, after Lake Titicaca (they have practically the same area). From one shore one cannot see the other. One sees the blue horizon as if it were the sea, and as the water is fresh, the Nicaraguans have named it "the Sweet Sea". In fact, it has everything it needs to be a sea: waves, archipelagos of islands and the only fresh water sharks in the world. Like any other sea, it has powerful storms and no one dares to cross it when one of these passes through. 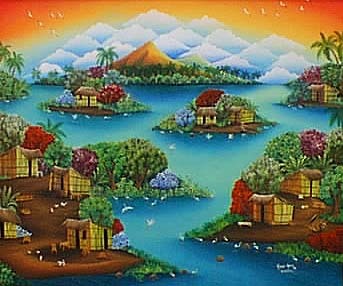 The Nicaraguans have their private sea, and it is a jewel of nature. The beauties it possesses have surprised visitors who have come to know this lake. The lake is connected with the Caribbean Sea by means of the San Juan River. The Spanish Conquistadors who founded the city of Granada, on the lakeshore entered by this route. By this plans were made to build an interoceanic canal, since the city of Rivas is only 15 km from the Pacific Ocean. The project was not realized because of a preference for the route which became the Panama Canal. Nevertheless the idea periodically experiences a resurgence of interest. Near to the Port of Granada one finds an archipelago of more than 350 islets, which form a true tropical paradise.. In Puerto Asese, 3 Km from Granada one can rent a small boat to cruise among the Islets. It's a labyrinth in the exuberant vegetation. 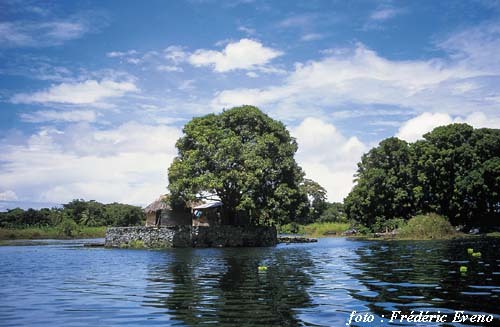 The majority of the Islets have one or several small houses, usually under the shade of large mango trees. 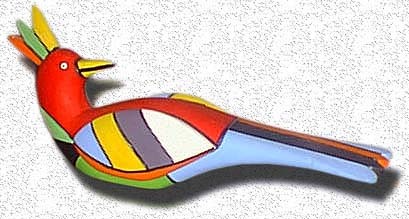 You can linger in one of the numerous country restaurants on the isles to savor the guapote, a fish found in the Lake. You can also spend an afternoon at an island beach, swimming and tanning yourself. This large island which can be seen from the Islets is almost uninhabited. On this island one finds pre-Colombian statues which are now exhibited in the museum of the Convent of Saint Francis of Granada. This is my favorite place in Nicaragua. It is the largest lacustrine island in the world with its 276 km2, and it has enormous potential for tourism. 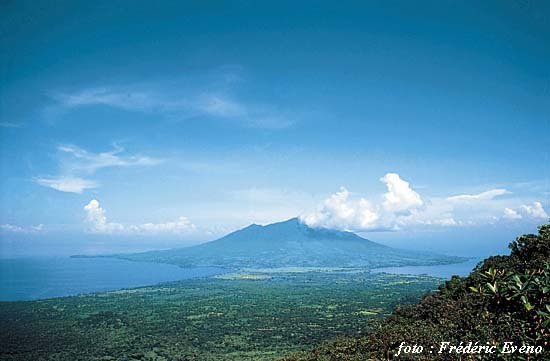 Ometepe has two volcanoes, one active, El Concepción (1610 m), and the other dormant, El Maderas (1394 m). In Ometepe, on e can rent horses, bicycles, or cars. It has attractive beaches and a tropical jungle for the adventuresome. You can climb the Concepción volcano, if you're in good physical condition. The effort of the climb will be rewarded by a spectacular view from the crater. The crater itself is quite impressive and cannot always be seen because about half the time clouds cover the volcano’s summit. You can find guides for the climb at the Castillo de Altagracia Lodge. If you don't have the spirit for a climb to the top of Concepción, perhaps you'll find Maderas more to your liking. 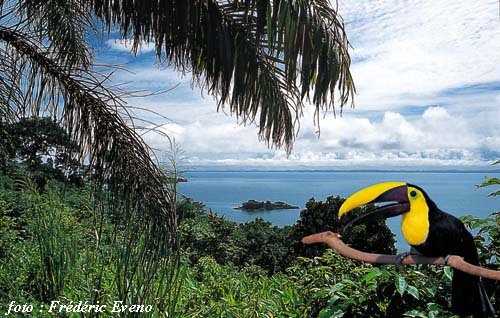 The climb is easier, and a thick tropical jungle rich in fauna covers this volcano. It has numerous monkeys, boas, jaguars etc... In the crater you will see the mysterious cold lagoon of Maderas. 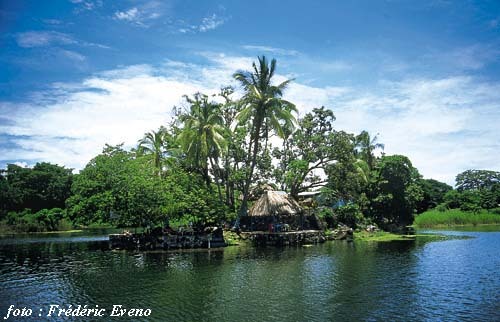 You can camp by the shore of the lagoon if you aren't afraid to spend the night in a real tropical jungle. It is never a good idea to climb Maderas without a guide because it is easy to get lost in the jungle. You can't go to Nicaragua without getting to know Ometepe Island. 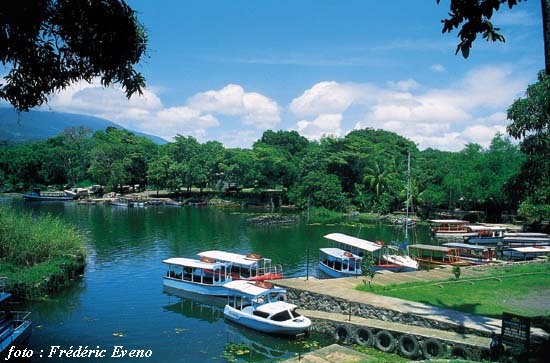 One embarks for Ometepe from the Puerto de San Jorge, 3 miles from Rivas. Launches leave each day in the morning. Be careful, because the boats don't leave at the announced times, and they tend to sail earlier !!! 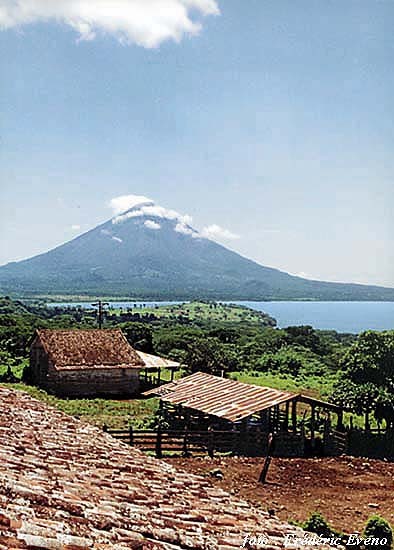 On Ometepe you will find numerous hotels in Moyogalpa, Altagracia, and at Playa de Santo Domingo. The Island has good bus service on weekdays. These precious virginal islands are found in the south of the Lake, near to Costa-Rica. Ideal for playing Robinson Crusoe. A community of primitive painters is installed in the archipelago, whose portraits are internationally famous. 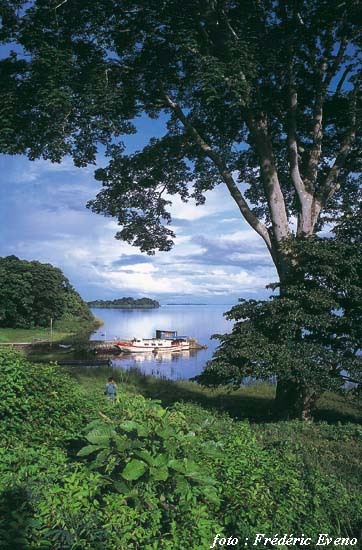 The Island of Mancarón boasts a comfortable hotel. You can embark for Solentiname at San Carlos.